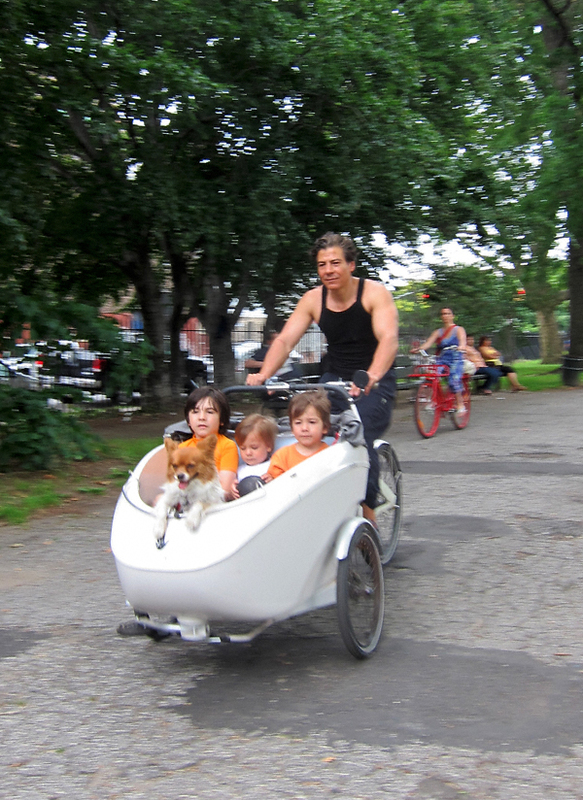 The kids seem a bit blase about this ride, but the dog remains enthusiastic. “This is how we roll!” he seems to be saying. The dog is really what makes it. Too funny!